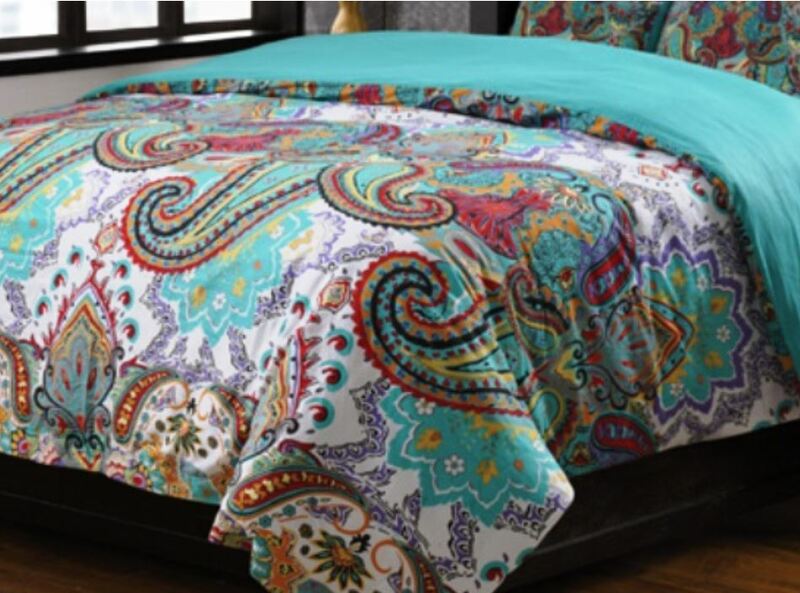 Transform your bedroom into an exotic retreat with the Nirvana duvet cover ensemble. 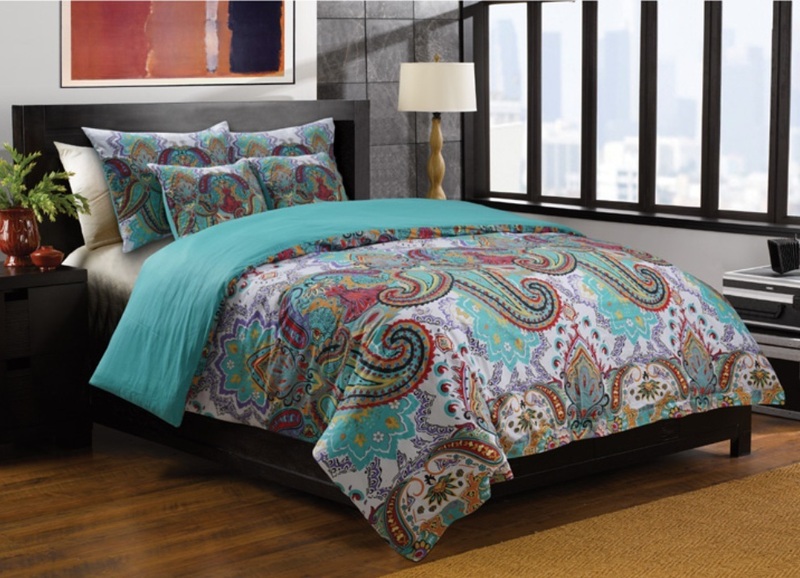 Bohemian influence of beautiful spire and paisley prints in warm tones of turquoise, dark magenta, muted gold and violet on a white background. Retro-modern styling reverses to a solid turquoise. Made from soft 250 thread count brushed cotton. Duvet cover includes internal ties for fastening comforter ends to duvet's corners. Double envelope button closure with durable, clear buttons at base of duvet and reverse of pillow shams. Note: this is a cover only and fill insert not included. Note about Returns: for sanitary reasons we only accept returns of duvets that have not been removed from the package -- duvets that have been removed cannot be returned.